A-HOTEL.com - Luxury and cheap accommodation in Uste Dzhegutinskaya, Russia. Prices and hotel, apartment booking in Uste Dzhegutinskaya and surrounding. 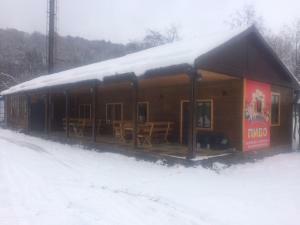 Located in Cherkessk, Рица-Парк features a fitness centre, terrace and bar. Featuring a 24-hour front desk, this property also provides guests with a restaurant.